Valençay is one of the classic raw milk mold-ripened chèvres from the town of Valencay, in the Loire Valley of France. The texture is smooth and dense with a mild, lemony, and altogether clean flavor. Made by allowing the curd to drain into a mold, it is then removed and covered with salted charcoal ash and allowed to ripen for about 4 to 6 weeks. 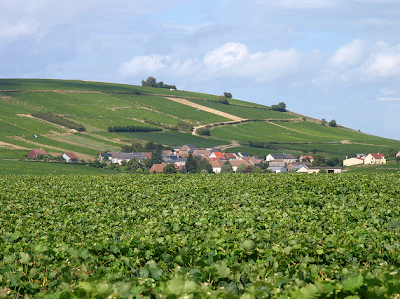 During this period the rind of the Valencay will thicken slightly and acquire blue marks. 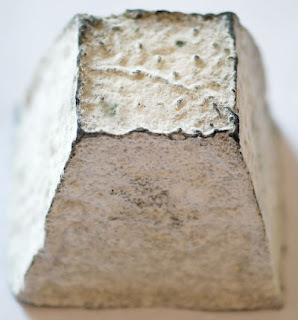 At the cheese counter, look for a Valencay that borders on scary, with a funky, wrinkled rind and substantial gray and white mold development. When young, the chalk-white cheeses are coated with gray ash, and then numerous molds colonize on them. With age, they will become molten just under the rind, creamy toward the center and firm at the core. The paste should have salt and tang in just the right proportions, with a faintly nutty flavor and no hint of ammonia. Pair with a Loire Sauvignon Blanc, Sancerre or Chablis.